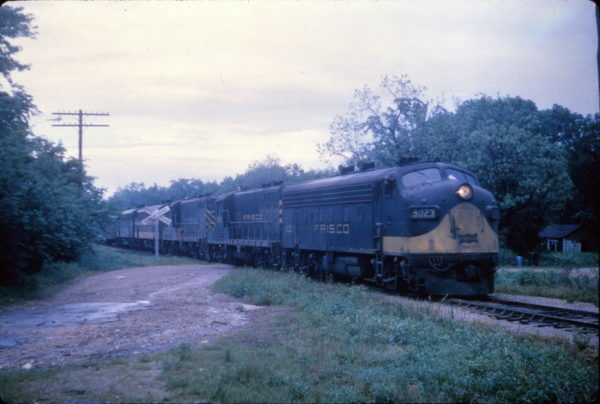 F7A 5023 (date and location unknown) (R.R. Wallin). 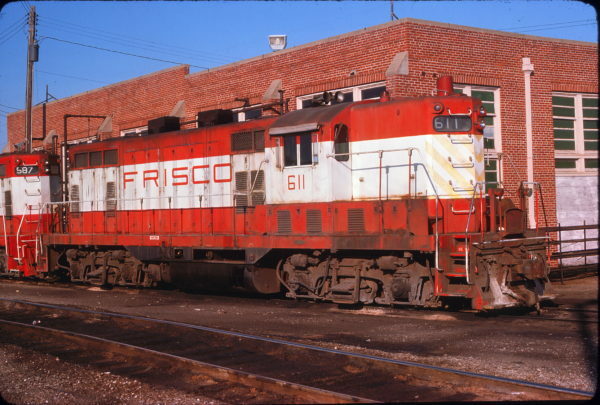 GP7 563 at Oklahoma City, Oklahoma in February 1969. 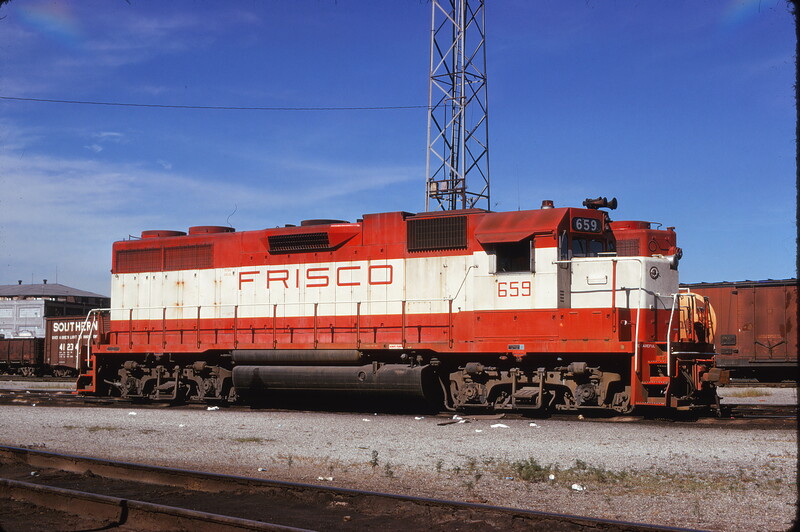 GP38AC 659 at Kansas City, Missouri on July 11, 1974 (James Primm II). GP38AC 653, U25B 820, U30B 838 and GP35 702 (location unknown) in April 1977. GP7 611 at Fort Smith, Arkansas on May 19, 1976. 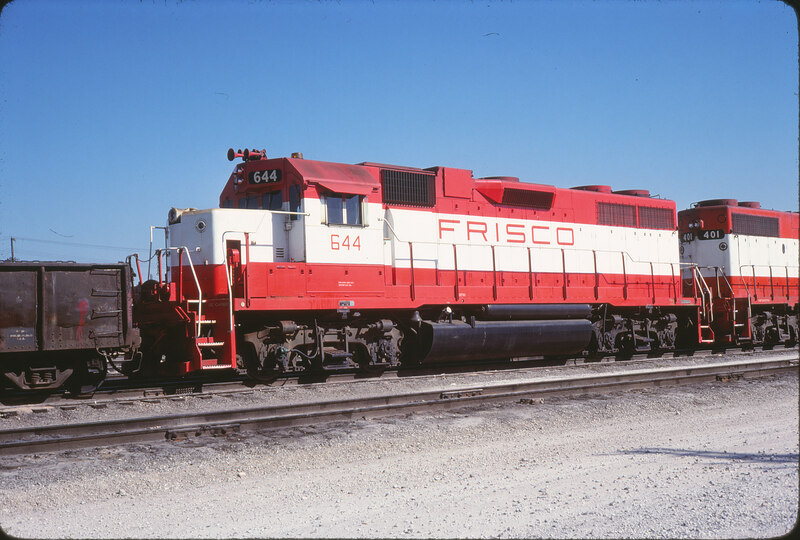 GP38AC 644 at Springfield, Missouri on September 30, 1979 (Allan Ramsey). 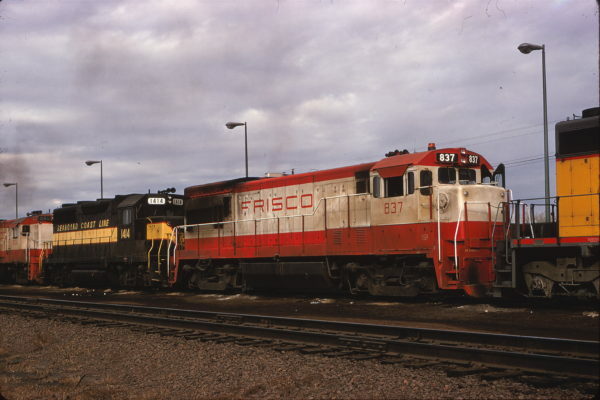 U30B 837 (location unknown) on February 7, 1970 (V.J. Porreca). 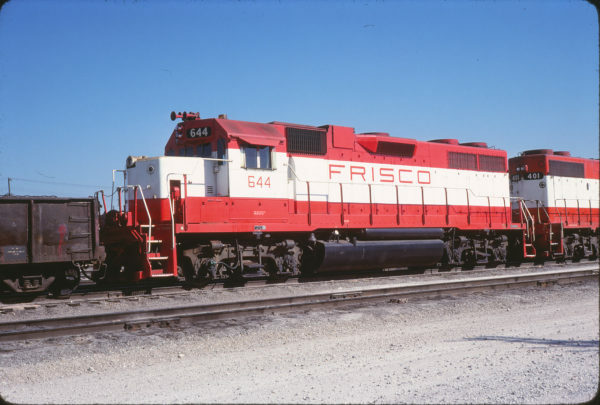 SCL 1414 is a GP35. SW1500 319 at Memphis, Tennessee in January 1981 (Lon Coone). 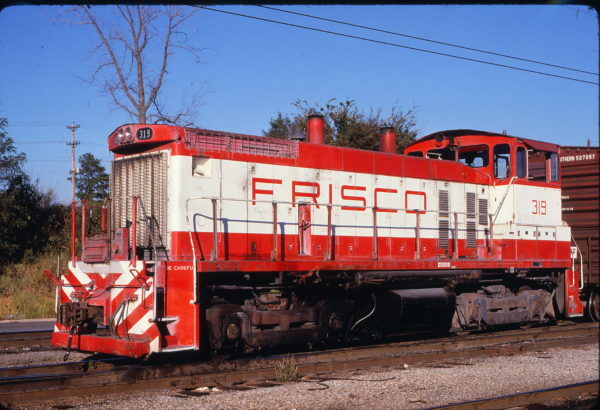 Frisco servicing at Springfield, Missouri (date unknown). The locomotive is parked east of the Springfield Diesel Shop. It is sitting on Shop Track 2. 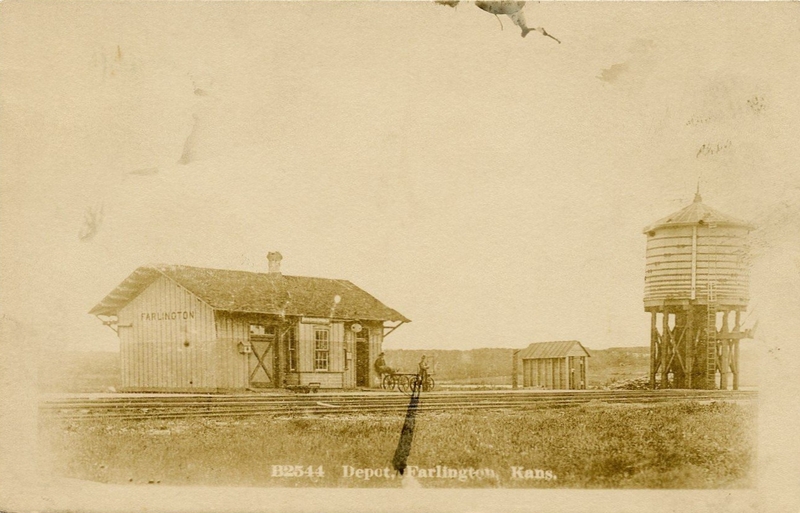 It is adjacent to the load test building, the two story structure beyond the power pole. The load test building cable bridge is in its horizontal position. 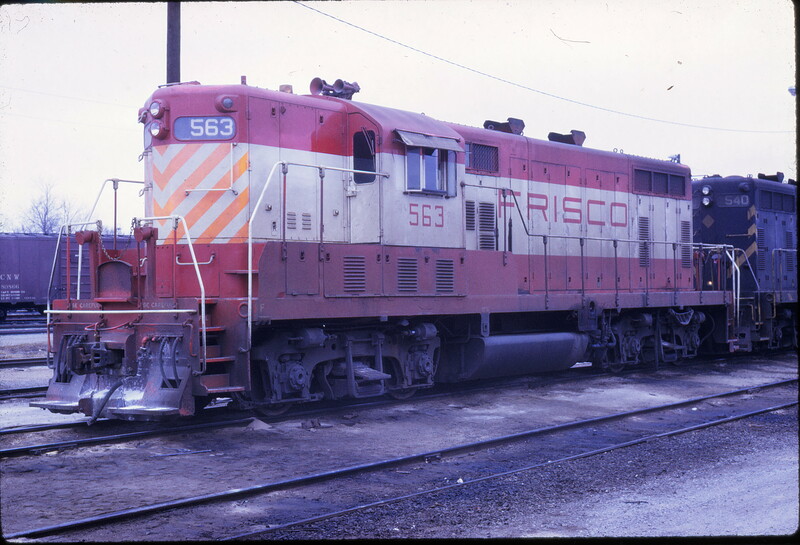 It is connected to the locomotive’s electrical cabinet below its cab for testing. This facility was used to check and test locomotive electrical systems. The track to the right of the load box is Shop Track 1. 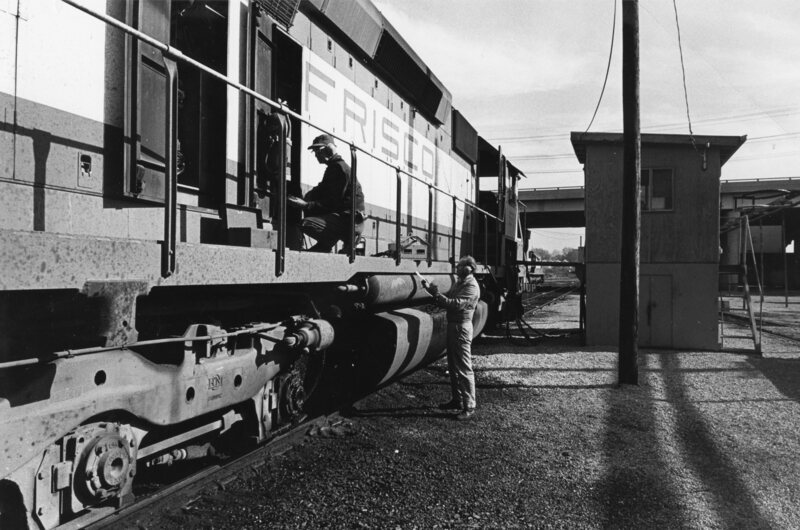 This track was typically used for loading/unloading company service flat cars with traction motors, truck assemblies and wheel sets. These were sent to, and received from, the company’s outlying diesel shops. The overpass in the distance is North Kansas Avenue.